A perfect centerpiece for a smaller table. 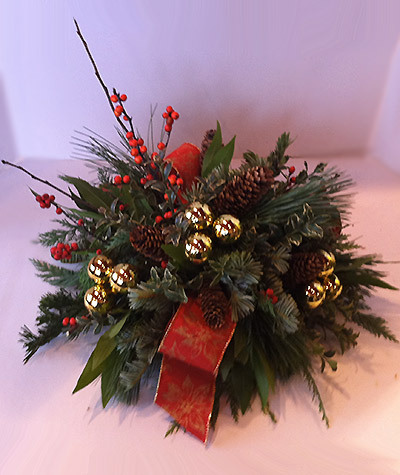 Made with assorted evergreens, winter berries and holiday ribbons and trim. Long lasting and beautiful holiday arrangement.